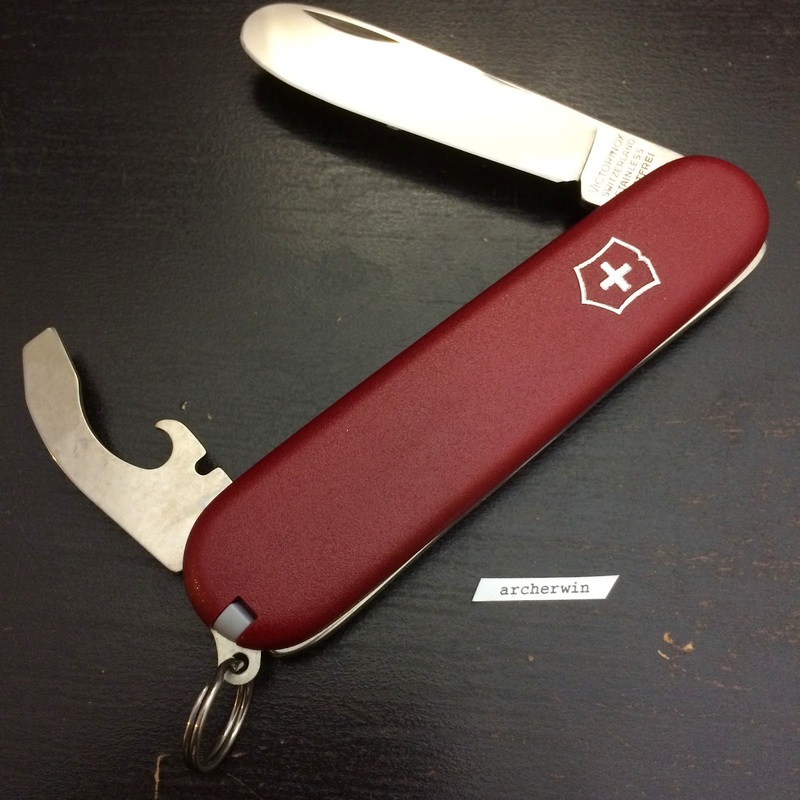 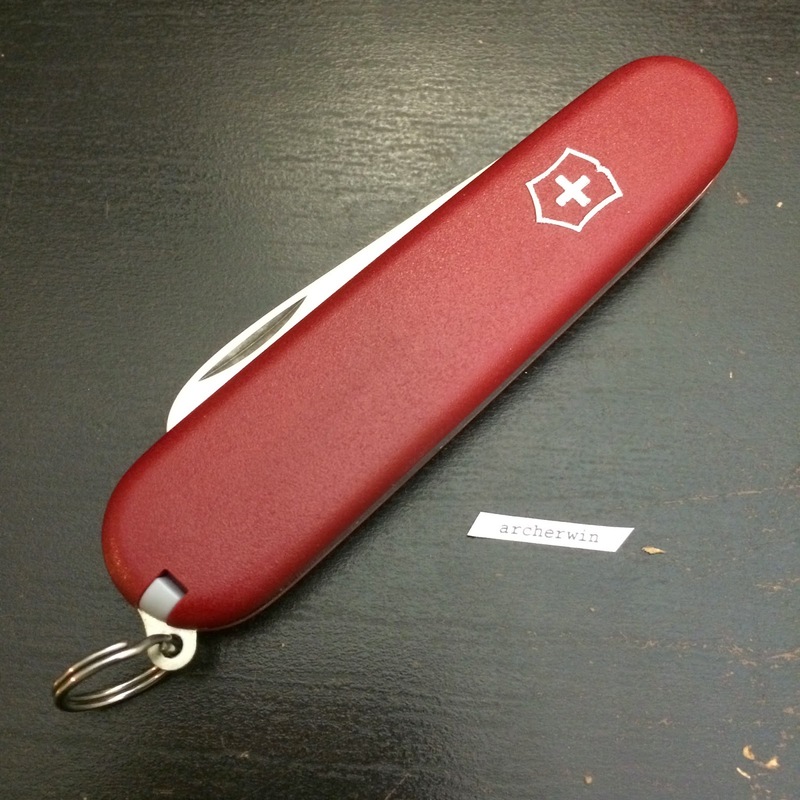 Victorinox has targeted specifically young users for this model. 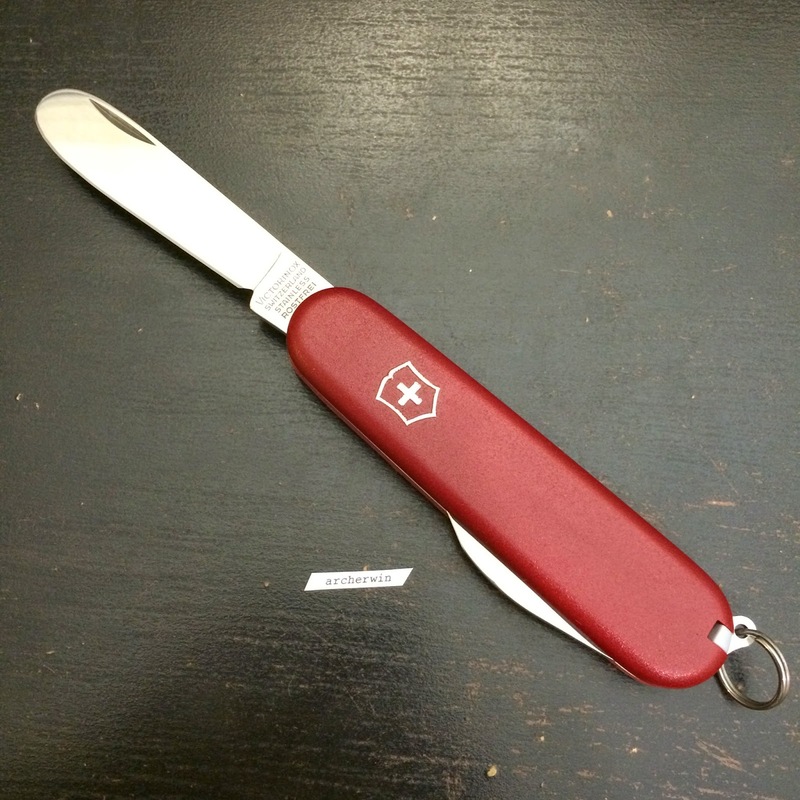 It has a shorter blade compared to the normal 84mm main blade owing to its rounded and wider tip. 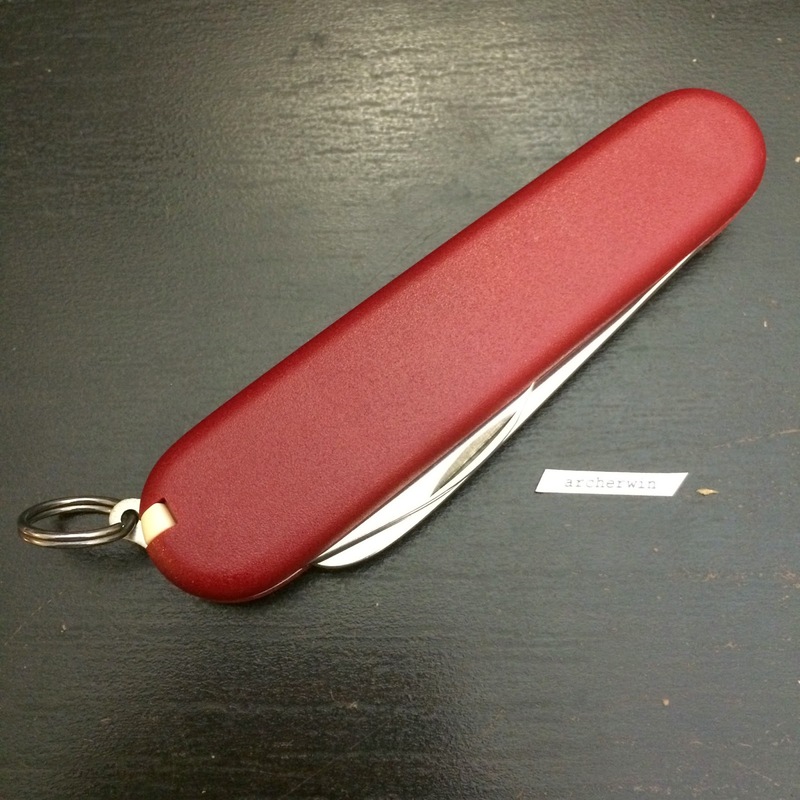 Although it is still sharp on one edge, the lack of a pointed tip makes it safer for children and early teens to use. 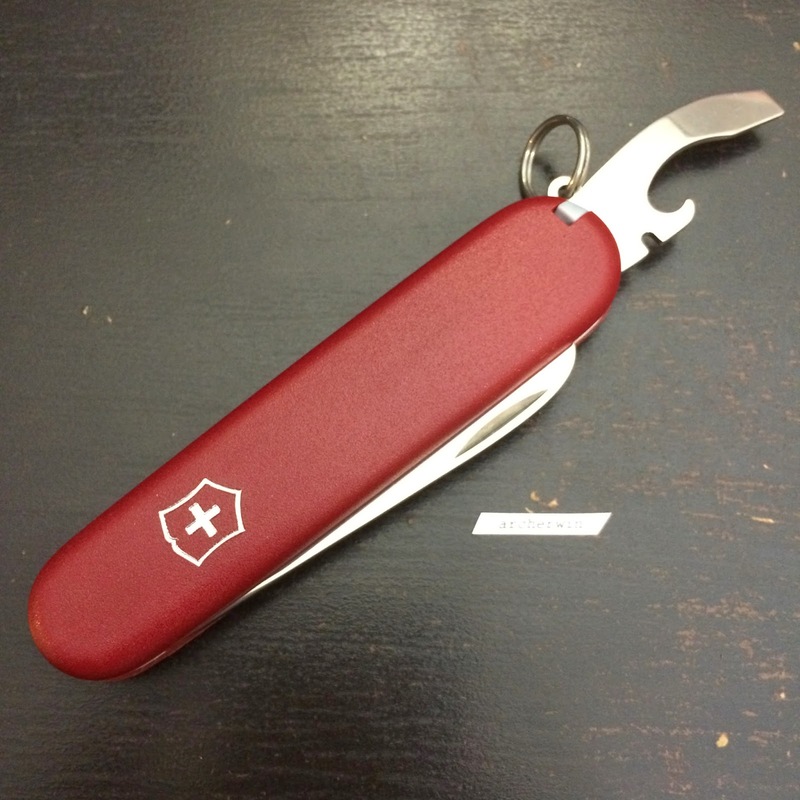 The use of the combination tool versus the normal dual tool in the opener layer considers the safety for the user as well as the combination tool has less sharp edges that the two normal opener tools. 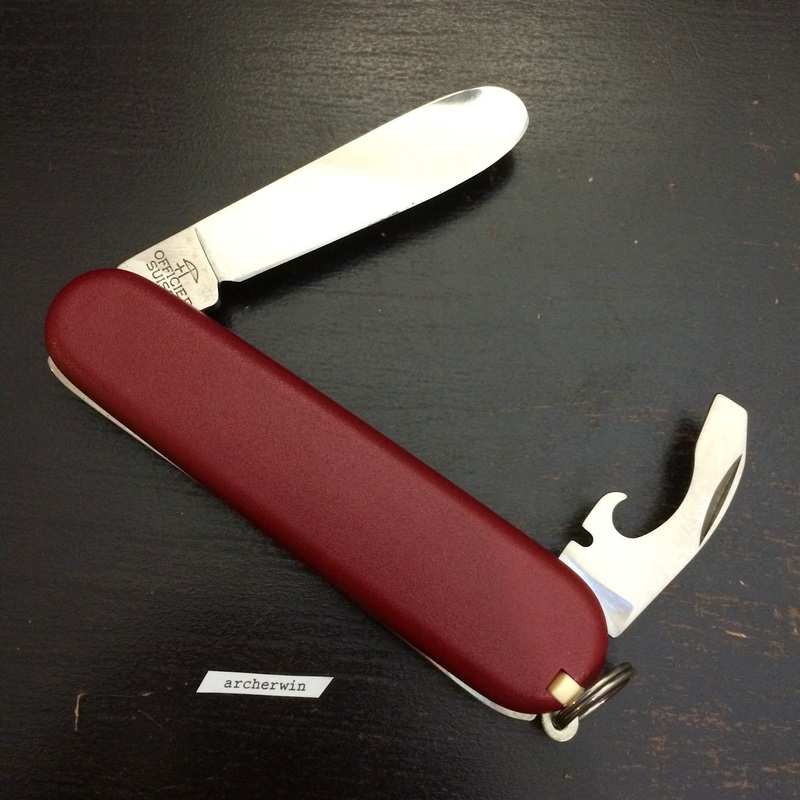 This model has the nylon scale (Item number: 2.2363) but this is also available in Translucent Blue (Item Number: 0.2363.T2), Translucent Red (Item Number: 0.2363.T) and Translucent Pink (Item Number: 0.2363.T5) cellidor scales.